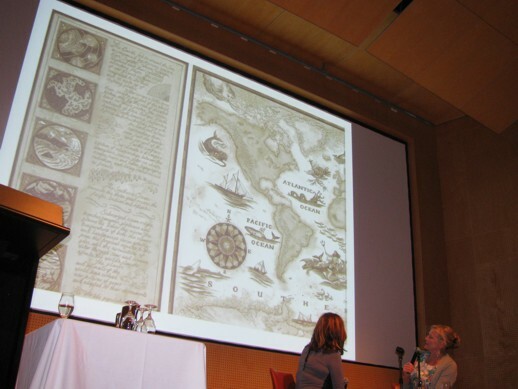 At a recent SLAV conference I was fortunate to hear Alison Lester speak about her latest book One Small Island (Penguin). Alison engaged in a conversation with Laura Harris of Penguin Books to help us understand the inspiration behind her career as an illustrator and author. It followed very neatly from a presentation by Sue McKerracher who spoke about the National Year of Reading (NYOR). Alison is an ambassador for NYOR and her book Are we there yet? is the feature book for the 2012 National Year of Reading. Her discussion with Laura focussed the book she wrote in collaboration with Coral Tulloch One small island and a very special preview at her forthcoming title Sally Scott goes south. 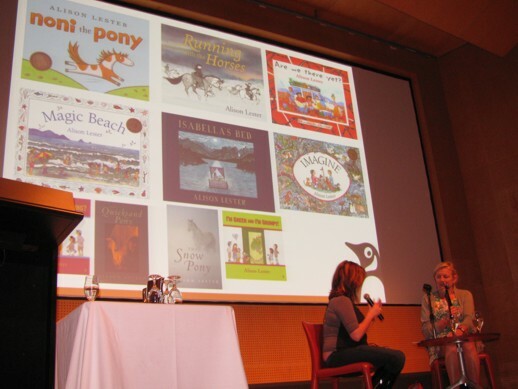 The picture book One small island was written by Alison Lester and Coral Tulloch. Together they bring the history of this amazing speck of land called Macquarie Island found in the vastness of Southern Ocean between Australia/New Zealand and Antarctica to life. It is the story of how this remote and precious World Heritage Site has been affected by human interference. The island has a unique ecosystem and humans have caused a lot of damage since the island was first visited by humans. Today there is a battle being fought to restore it. The beautiful illustrations in the picture book were put up on a large screen in the auditorium for us to admire and they were very eloquent. We all left the session wanting to buy a copy of the book and all of us are very interested in what will become of Macquarie Island. If you want to hear Alison talking about the book herself you can go to ABC Radio National’s Life Matters site where, on the 1st of August, they aired a great interview with her about Macquarie Island and her book.